This John Wayne 1911 commemorative BB pistol is true grit incarnate. 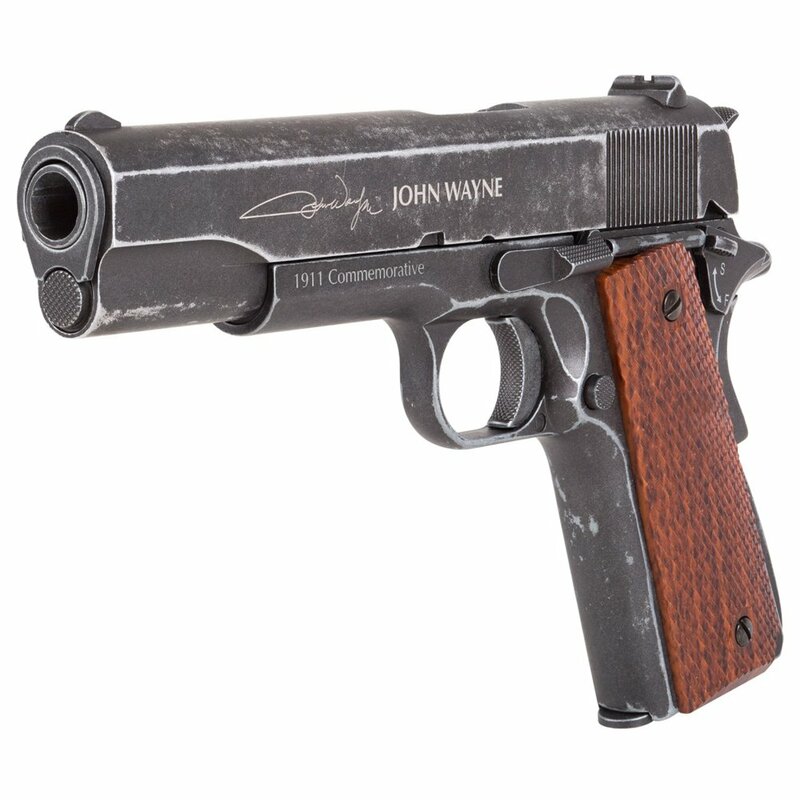 It features a Vietnam era design with a distressed metal frame and officially licensed John Wayne signature. 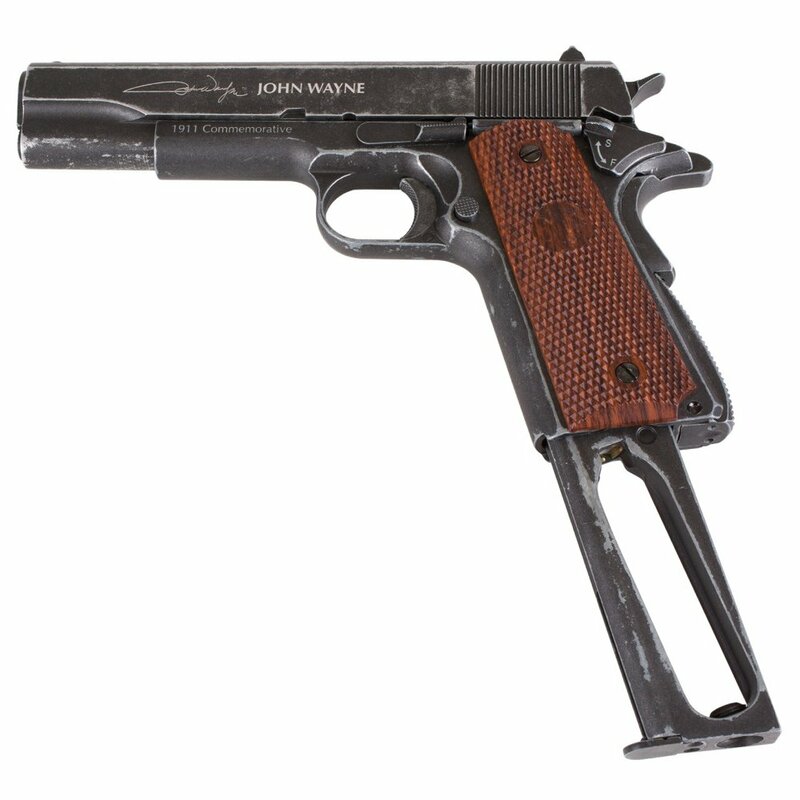 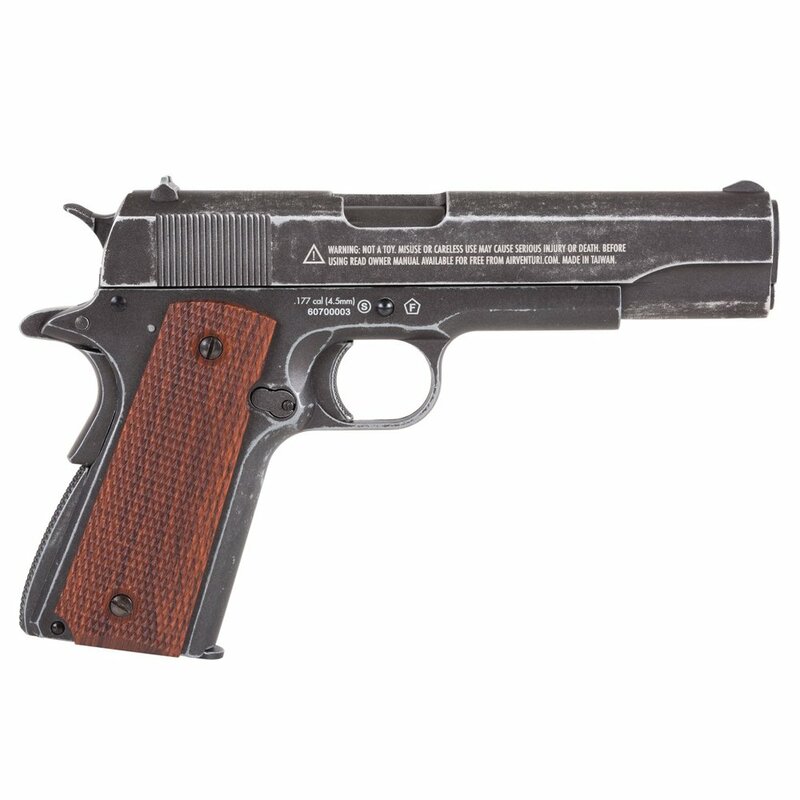 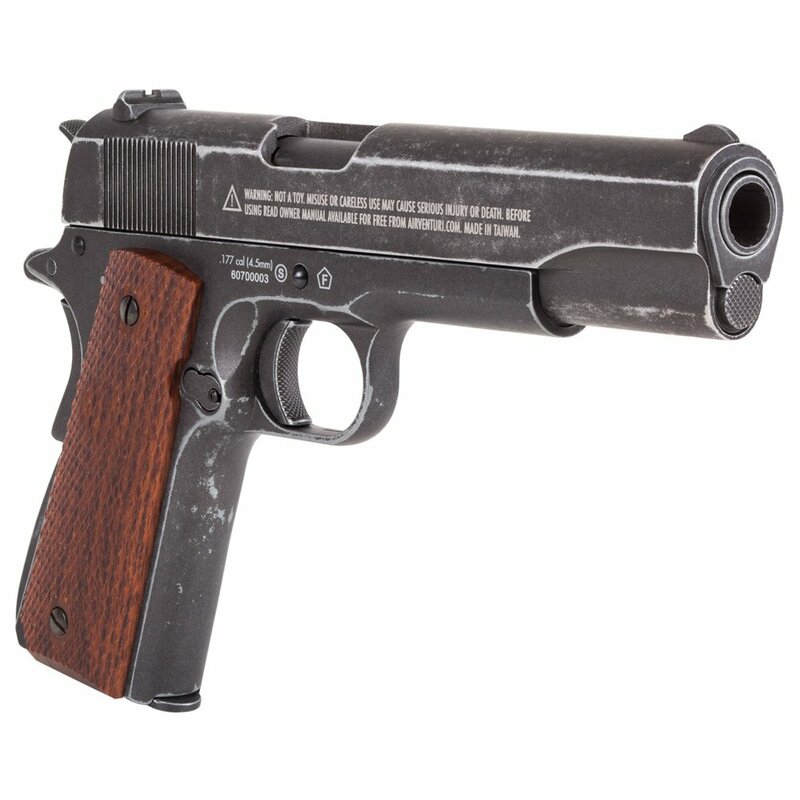 Equipped with textured imitation wood grips, two safety mechanisms, and an ambidextrous magazine release, this replica looks, feels, and fires just like a real steel 1911. 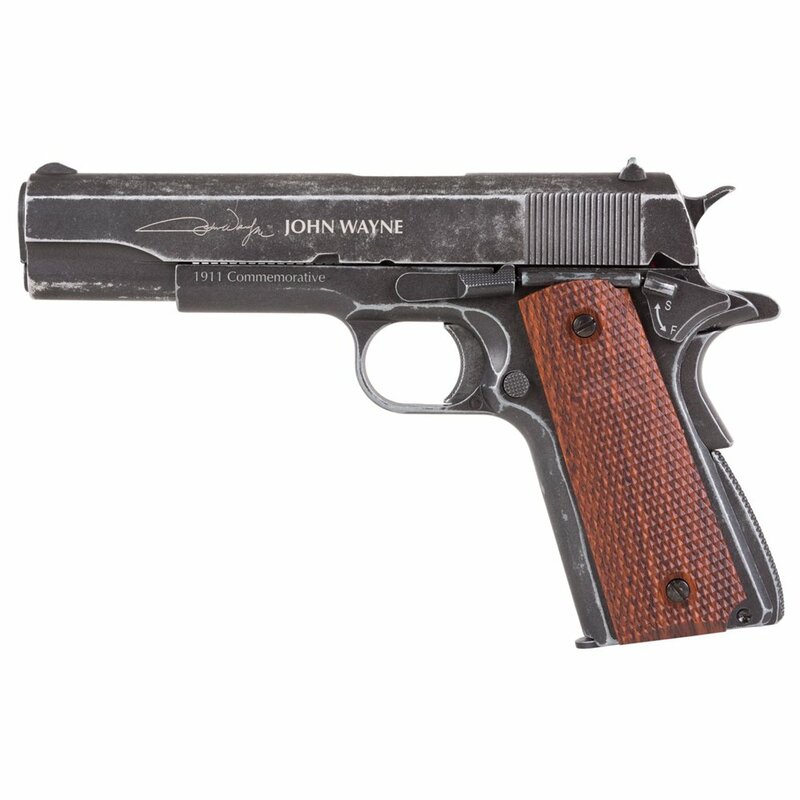 Channel your inner Duke for extended outdoor plinking sessions. A grip safety is a lever found on some pistol grips, installed to prevent misfires. 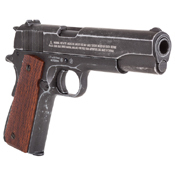 Unlike a frame or slide safety, grip safeties do not have be activated with a switch, they are automatically engaged as long as the gun is not being held.